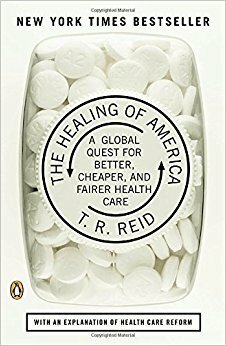 The United States is the only developed country that relies on profit-making health insurance companies to pay for essential and elective care. About 80 percent of non-elderly Americans have health insurance; generally they get it through the job, with the employer paying part of the premium as well. The monthly premium goes toward paying the worker’s medical bills, but the insurance firms also soak up a significant share of the premium dollar to cover the costs of marketing, underwriting, and administration, as well as their profit. Economists agree that this is about the most expensive possible way to pay for a nation’s health care. That’s why, as we’ll see throughout this book, all the other developed countries have decided that basic health insurance must be a nonprofit operation. In those countries, the insurance plans—sometimes run by government, sometimes private entities—exist only to pay people’s medical bills, not to provide dividends for investors.